When Pretty Girls Hate On Themselves, Where Does That Leave The Rest Of Us? It’s sad. If you’re a human woman on this planet, the chances are pretty good that there’s something on (or missing from) your body that you curse daily. Mine’s my chin, or lack thereof. On good days, I hardly see it. On bad days, I see this picture of Megan Amram. From that mirror scene in Regina George’s bedroom in Mean Girls, to the devastatingprevalence of eating disorders and plastic surgery, American women are constantly in a state of agony over their bodies. Unfortunately, it’s also one of the easiest ways to bond with other girls. Even supermodel Brooklyn Decker, whose legs are probably as tall as my entire body and whose hair deserves a seminar at the Blake Lively and Connie Britton’s Glorious Unicorn Mane Academy, has her own insecurities about her looks, as she confessed to Women’s Health via The Daily Mail. Decker, who’s no stranger to fitness herself (not to mention married to Andy Roddick), was awestruck about Jennifer Aniston’s bikini body on the set of Just Go With It. She was so self-conscious about her own that she declined an invitation to work out with Jen: “I was invited to do yoga with her on set but they had so many good yogis I was intimidated and chickened out.” Humblebrag or honest insecurity? You be the judge. 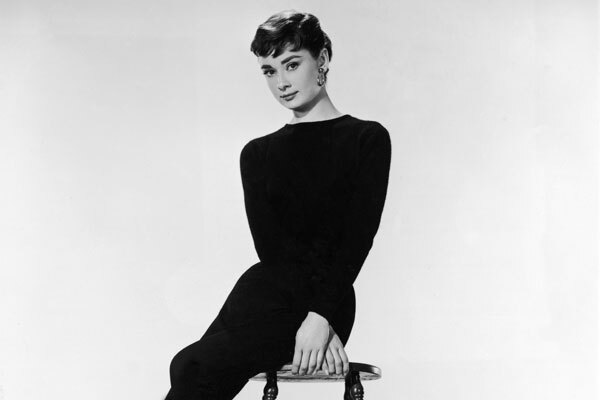 The 1957 movie Funny Face starred Hepburn as an intellectual book store clerk who’s discovered by women’s magazine photographer Fred Astaire and whisked off to Paris to be a supermodel. The title, which of course is a references to Hepburn’s face, echoes her own sentiment about “a good mixture of defects.” I’ll never say life doesn’t imitate art again.